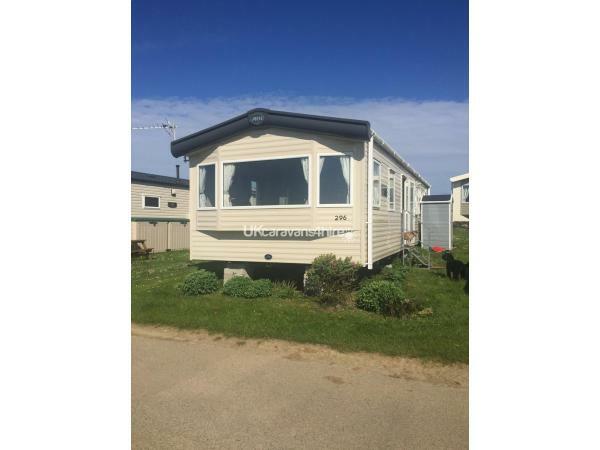 Harlyn Sands Holiday Park is situated on the North Cornish coast near Padstow, surrounded by beautiful family friendly beaches and renowned surfing beaches as well as numerous coastal path walks with stunning views. 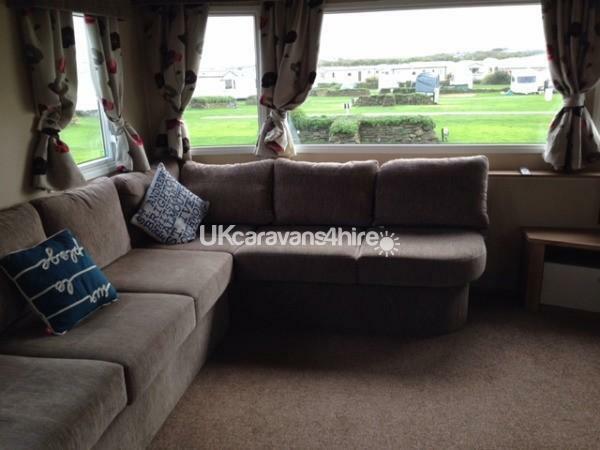 Close to the popular camel trail and fabulous restaurants and pubs in both St Merryn and Padstow. 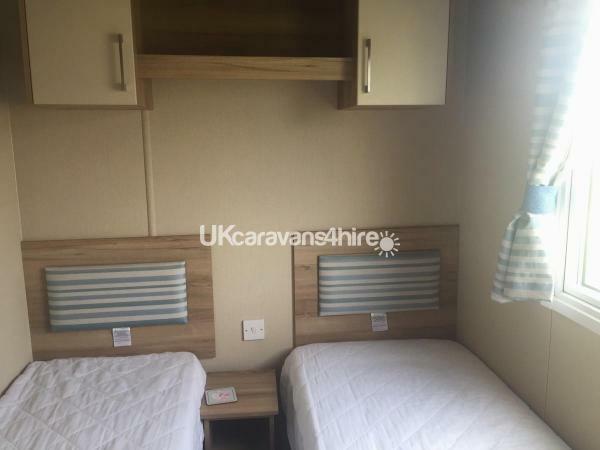 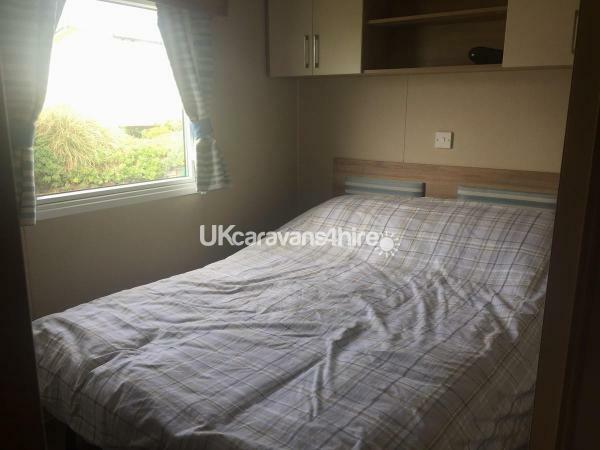 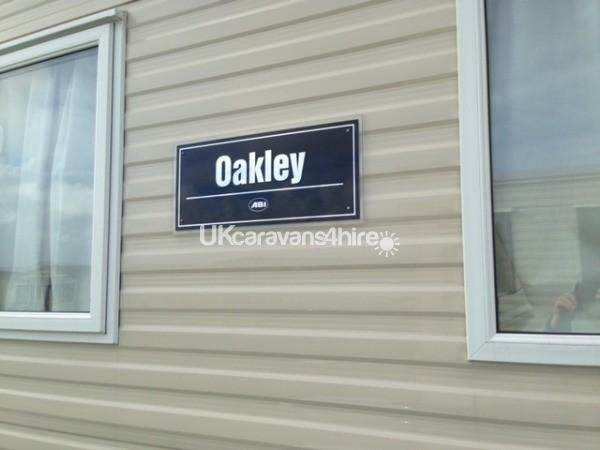 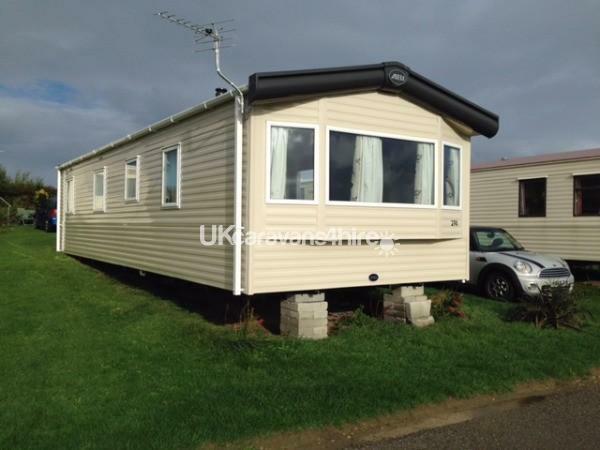 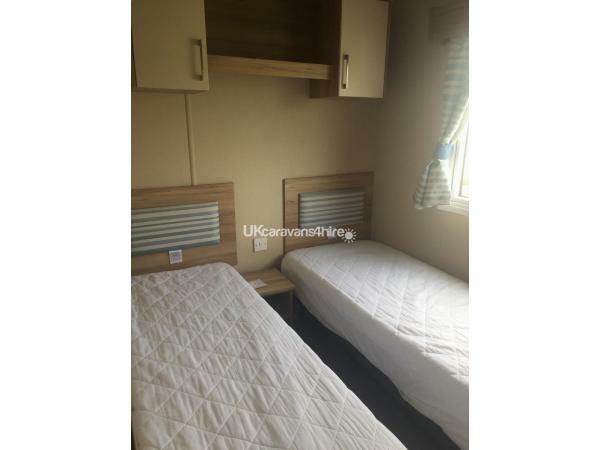 The caravan has 1 double bedroom and 2 twin bedrooms that can be easily converted into doubles. 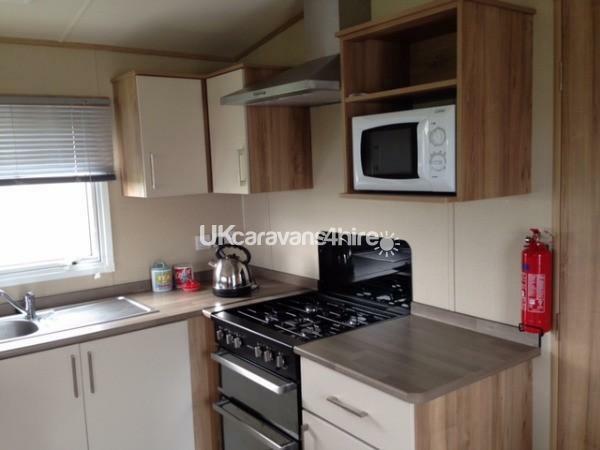 Spacious kitchen with microwave, gas cooker, toaster, kettle, fridge/ freezer along with cutlery, crockery and pots and pans. 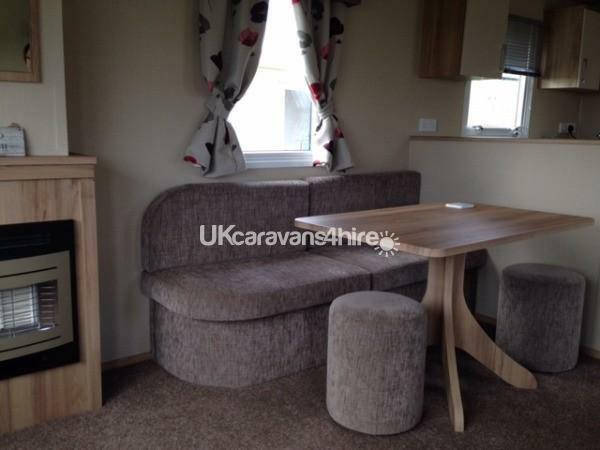 Large seating areas in living room along with dining room table.